Lenovo announced two new workstations on Tuesday that offer more affordable options for the budget-conscious business owner. Lenovo announced plans on Tuesday to round out its ThinkStation desktop refresh with a new budget-friendly workstation called the P410, as well as an upgrade to the P510. 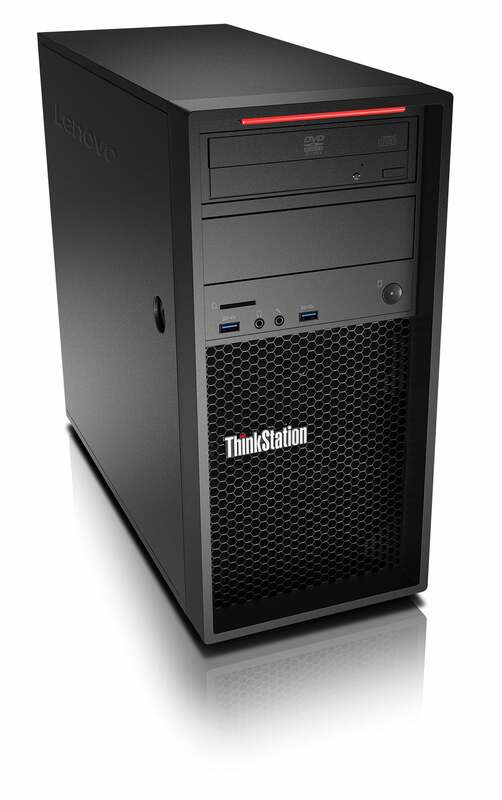 Both workstations are focused on delivering as much power as possible without breaking the bank. Of course, that’s hard to judge when official pricing has yet to be released. Update: Lenovo just told us that the P410 starts at $1049, while the P510 starts at $1399. The P410 can run Intel’s Xeon E5-1600 v4 series, which offers processors with up to 8 cores and clock speeds that top out at 3.7GHz. The Intel Xeon E5-2600 v4 series is also an option. The workstation also has 2 x PCIe x16 slots and can run up to Nvidia’s Quadro M5000 graphics. 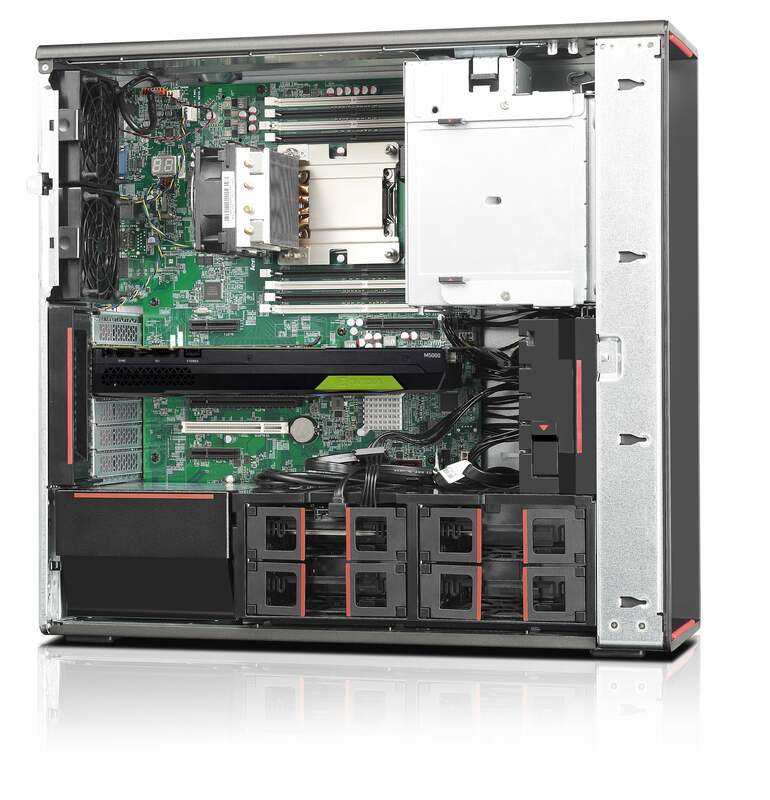 For storage, the P410 can handle up to four drives with two internal storage drives. RAM maxes out at 128GB in four DIMM slots that can take 8GB, 16GB, or 32GB modules. The P410 can run Windows 10 Professional 64-bit or come pre-loaded with Ubuntu Linux. An inside view of the ThinkStation P510. 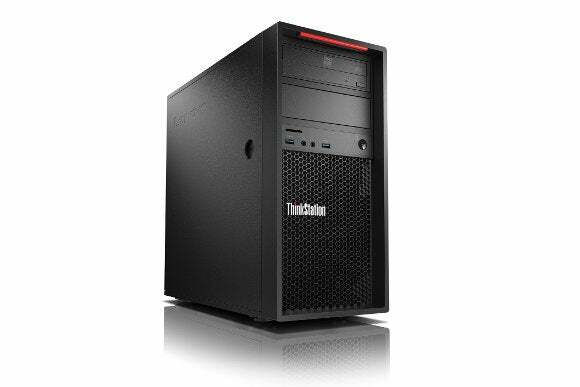 Lenovo calls the upgraded P510 “as much power as possible in a single-socket workstation.” The P510 also runs either the Xeon E5-1600 or Xeon E5-2600 and the same operating system choices as the P410. As for the graphics card, the P510 can handle the Quadro M6000 graphics card. RAM capacity is doubled compared to the P410, with up to 256GB of memory spread across 8 DIMM slots, again in 8GB, 16GB, or 32GB modules. Storage is equally ramped up, with 11 total drives held in 4 internal access bays. The impact on you: Lenovo hasn’t announced an official price yet for the P410, but Tom’s Hardware says the MSRP will start at $1,100. The P510 price is still unknown. As for release date, both workstations are expected to be on Lenovo’s site by the end of June.